Was contemplating whether I should get this original Lorac Unzipped or the Gold edition. But I guess I have enough gold/bronze eyeshadows. This is definitely more rosey with mauve-y and burgundy shades that I do not own in my collection. Not to mention the awesome quality of Lorac shadows. Undercover is a matte cream white shade perfect for setting the eye primer and evening out the lid colour as well as highlighting the brow bone. 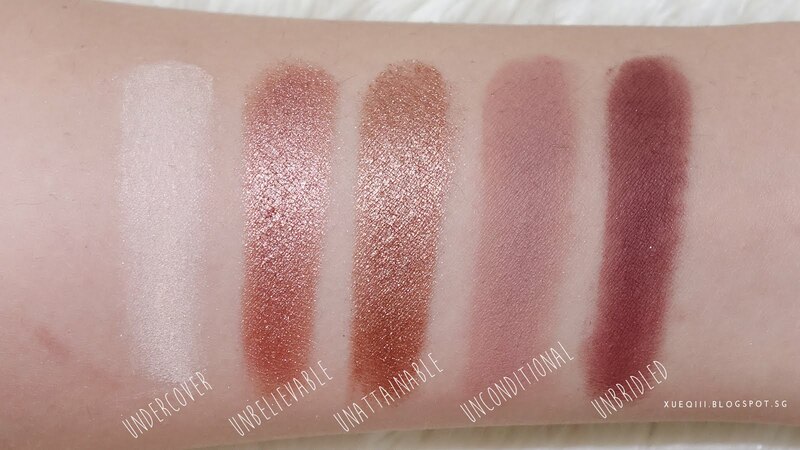 Unbelievable is a metallic rose gold. Unattainable is a metallic bronze. Unconditional is a matte dusty rose; great as transitional crease shade. Unbridled is a matte dark burgundy. Undiscovered is a metallic pale gold; however I noticed that this shade is not as pigmented. Unreal is a metallic pink. Uncensored is a metallic dark brown. Unspoken is a matte brown. Untamed is a super dark chocolatey brown with a slight sheen and shimmer. The shadows are all extremely pigmented with just a single swipe. Highly recommend! I have been using this for awhile on-and-off with my Naked Palettes and Colourpop shadows. I have to say I have been enjoying this a lot and the colours are so beautiful and unique. 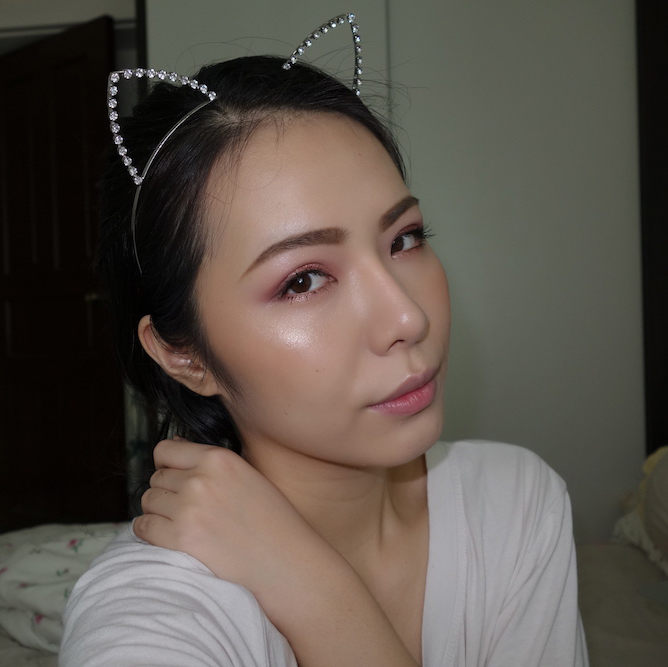 Here's a simple makeup look with this palette. Hi! May I know where you bought the palette? :) It looks gorgeous! 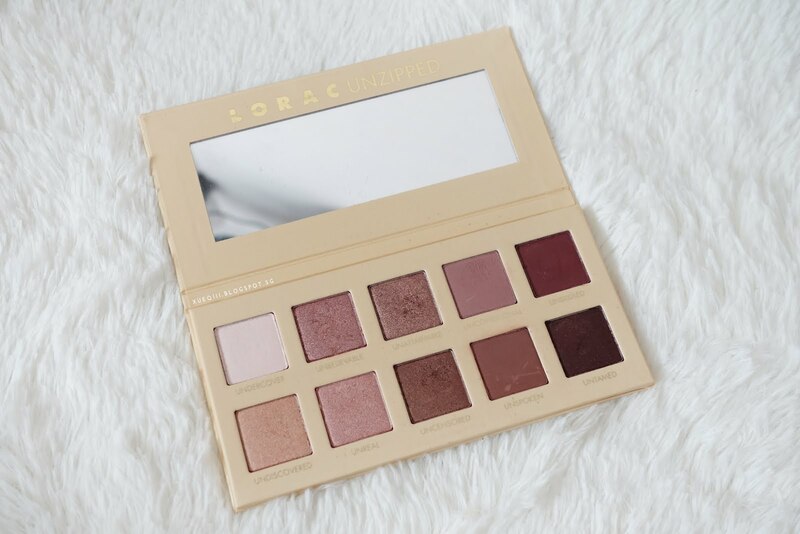 Hi Noorazlin, I got this palette at http://www.under-twenty20.com :) you can find some listings on Carousell too. I also have the too faced original chocolate bar palette, which I love, just to let you know haha. In case there were shades pretty similar and if it was not worth my money! Hi Janny, thanks for stopping by :) I actually recommend Lorac over UD reason being the Naked 3 has a few shades that disappoints and with that price tag, I do not think it is worth the money. 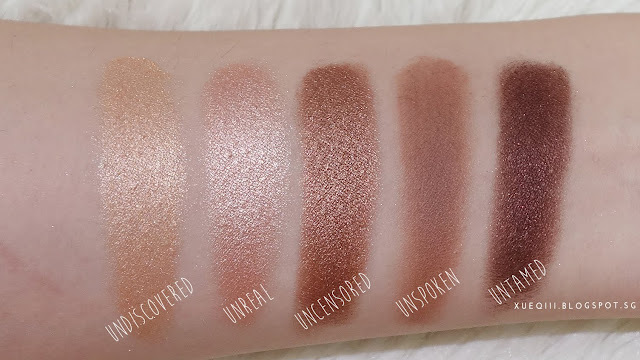 Alternatively, similar dupes that Makeup Revolution (New-Trals vs Neutrals, Iconic 3) carry are amazing, you should definitely check those out! I did a review on one of them, you can take a look. If you are looking for something high-end, that is rosey, I think the Lorac Unzipped is really nice for that. 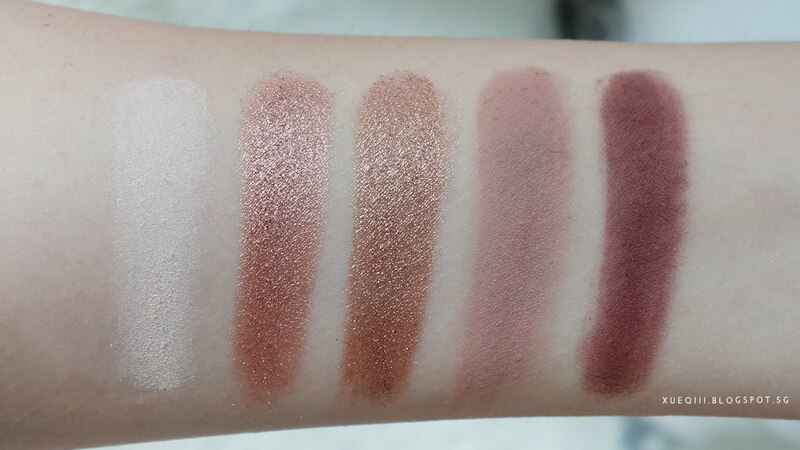 The Violet Voss palette is a lot warmer and has more red shades rather than pink/roses. 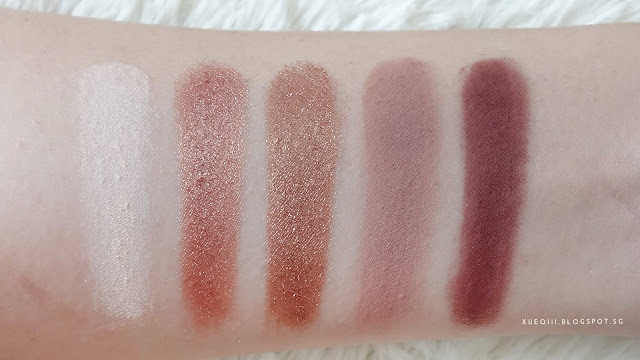 My other favourite is the Tartelette in Bloom palette - a good mix of warm browns and pinky and burgundy matte shades. 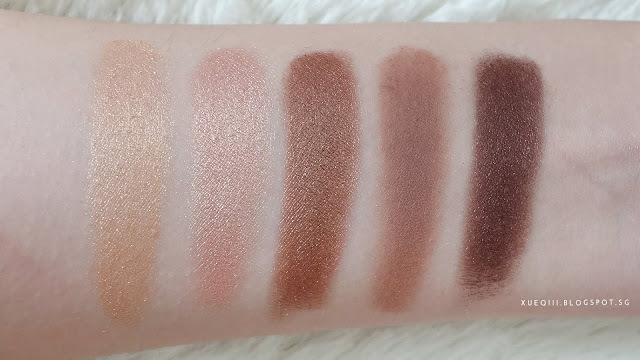 So I wanted to ask you something, so I was planning to buy this palette, since it has all the colors I would use, like pinks and browns and it doesn't have super dark eyeshadows because those don't look very good on me (or maybe I don't know how to apply them correctly...) But I would also like to have some cool toned browns, so I was looking at the Tartelette in Bloom or the Natural Eyes to buy along with the Unzipped, which one do you think will complement it better? Or are they just way to similar? Natural Eyes has more neutral - cool tones. 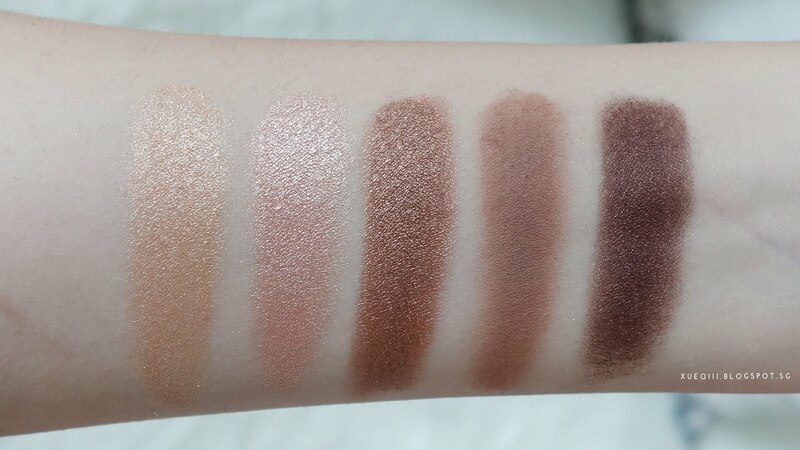 Tartelette in Bloom has a good mix of both cool (1st row) and warm tones - mainly warms though. However, Tarelette in Bloom and Unzipped can look pretty similar, especially the reds on the last row. 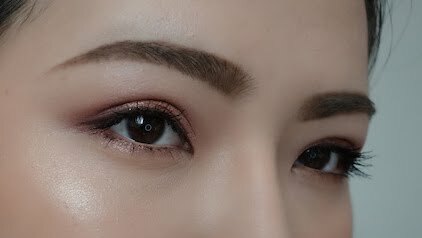 Since you're not looking for anything warm, Natural Eyes will be a better palette to compliment the rosey tones in Unzipped. 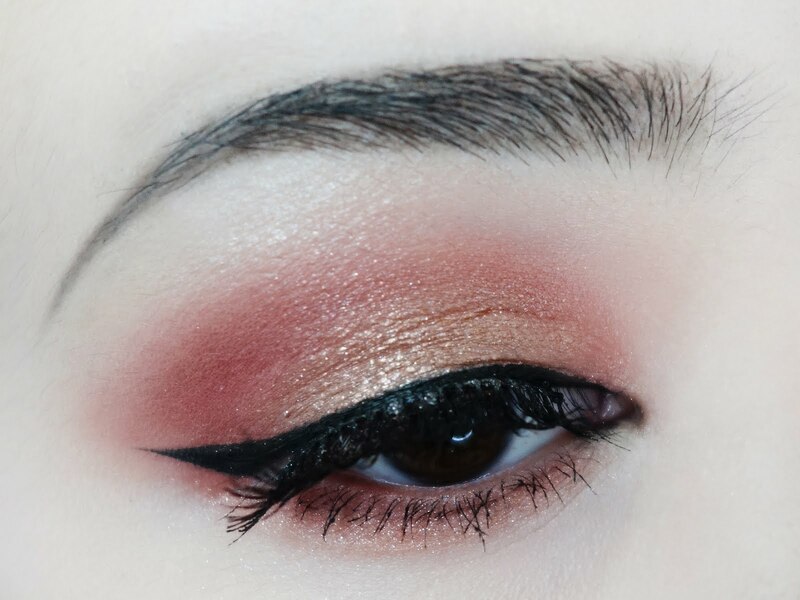 I'm not that good with dark colours too but I really like to use them as liners for a softer look! You should try that some day. Thanks Melanie! I can't remember the exact shades, should be Unbelievable and Unattainable on the lids. Unconditional in the crease :) maybe a little Undiscovered on the most center of the lid for the pop of gold.